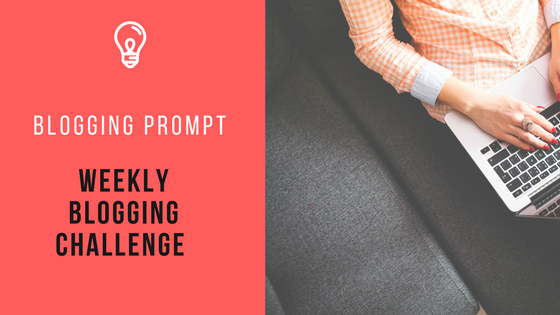 Welcome to The Weekly Blogging Challenge, designed to give you an idea to blog about. This week's Blogging Challenge is CHANGE. So remember this is just a blogging prompt, and not an assignment, which means you can use it in whatever way you wish to inspire a post. Brainstorm: Use a pen and paper and write down 25 ideas around the blogging prompt, no matter how stupid you think they are. 1 of them is sure to inspire a post. Or get some free title suggestions by signing up here. Some extra inspiration for this week's word CHANGE. If you are like me and your head is spinning with ideas (or is it Fibro Fog?!) you may appreciate some extra ideas for writing about change. how your approach to your Fibromyalgia has changed over the time you have had it. how you have stopped doing something that you use to do. This could be a treatment. It could be an activity that you use to be able to do and can no longer do because of Fibro. Maybe you have taken up new hobbies and activities that others would like to hear about. how change is a good thing or a bad thing and why. treatment changes over the years in the Fibromyalgia area. You could create a chart or an info graph to share in social media. how your friends changed when you were diagnosed or how they think you have changed. How your blog has changed over the years and why. Simple hacks you use to cope with daily challenges. If you don't change this may happen to you too! How Fibro fog (or any symptom) has changed my life. 3 new things that saved my life. Don't forget to look at the Pre Publish Checklist before publishing your post. It's the simple way to insure you've covered all bases. We have many other blogging prompts and challenges to help you (if you don't like this one). I am trying to get you my most popular blog, "The 7th Stage of Fibromyalgia" emailed to you for your consideration. What email address should I use?